The number of parking tickets being issued by private firms in the UK is on course to reach a record high. The RAC Foundation claims that, by the end of the 2018/19 financial year, the DVLA will have shared a total of 6.44 million sets of records with private parking firms, up from 5.65 million in 2017/18. 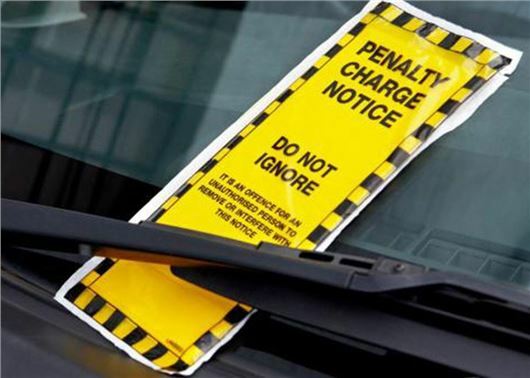 The DVLA data is used by parking companies to pursue motorists for charges that they say are due for infringements in private car parks such as those at shopping centres, leisure centres and motorway service areas. Figures for the first four months of the 2018/19 financial year show that private parking companies requested 1,479,152 sets of vehicle keeper records from the DVLA - a 14 per cent rise on the 1,299,716 bought in the same quarter of 2017-18. The biggest purchasers of data in Q1 were ParkingEye (388,061 sets of vehicle keeper records), Euro Car Parks (125,322) and Smart Parking (114,217). During the 2008/09 financial year, there were 687,000 such data requests. “Motorists might well be asking what is going on when the number of records being sought by private parking companies has shot up yet again. Numbers like these suggest that something, somewhere, is going wrong,” said Steve Gooding, director of the RAC Foundation. The Government has backed a Private Members’ Bill which aims to introduce a single, sanctioned code of practice that all parking firms will have to adhere to if they want to request DVLA information. The bill passed its committee stage in the House of Commons in July; the next step is the House of Commons report stage, scheduled for 23 November. These companies are clearly out of control and need to be regulated far more stringently. I am currently in dispute with ParkingEye who want £80 because I overstayed a 20 minute limit whilst collecting my 94 year old mother from hospital after surgery to her broken hip. Whilst my mother was being prepared for discharge from the ward my car was in a general car park. After 6 hours I was informed that she was ready to leave the ward and so I moved my car to the hospital's Pick Up/Drop Off point which had a 20 minute limit. The amount of equipment that had been assembled for my mother to take home to aid her recovery was such that I had to make two trips from the ward to the car to carry it. The equipment included a walking frame, two commodes and a shower stool. On the second trip a member of ward staff said they would get a wheel chair to take my mother down from the ward to the car park. This did not happen as the member of staff became unwell and left the ward without informing anyone of the need to transfer my mother. I found that this duty had fallen upon myself and so I had to return to the foyer to find a wheelchair; take it up two floors to the ward; collect my mother; and having carefully transferred her to the car, return the wheelchair to its place in the hospital foyer. No reasonable person would have believed that this sequence of events could have safely been done any faster but I had, nevertheless, overstayed the 20 minute limit. I received ParkingEye's notice of a charge through the post and appealed it. This week they turned the appeal down. In addition to the stress of trying to help my mother's recuperation, I have this totally unnecessary stress of dealing with this wretched car parking company. Parking Eye and similar criminals are a cancer of modern life. They are thieves bandits and the absolute scum from the depths of Britain. They operate on a demanding money with menaces principle. In our modern society this sort of criminal practice is called a service industry!! They prey on peoples misery and misfortune and demand extortionate amounts of money for absolutely nothing.These companies need to be totally banned.and the vermin who run them heavily fined and jailed forever. Private parking companies fall into the same category as terrorists and child molesters in the view of Joe Public yet our rotten and corrupt government and legal system allows them to operate freely despite many attempts to get this criminal practice under control. There is hardly anywhere you can park your car without one of these thieving abominations trying to rip you off. Why the hell is this robbing filth allowed to extort £100 for staying in a shopping centre for 2 minutes when the police and council who we all respect charge far less? Why are these walking cancers allowed to take you to court and use bully boy bailiffs to extract cash from victims of this stinking crime??? The b***** feeble government needs to get this menace sorted very quickly. Never mind Brexit and such this is what ticks people off so much!!!!! !